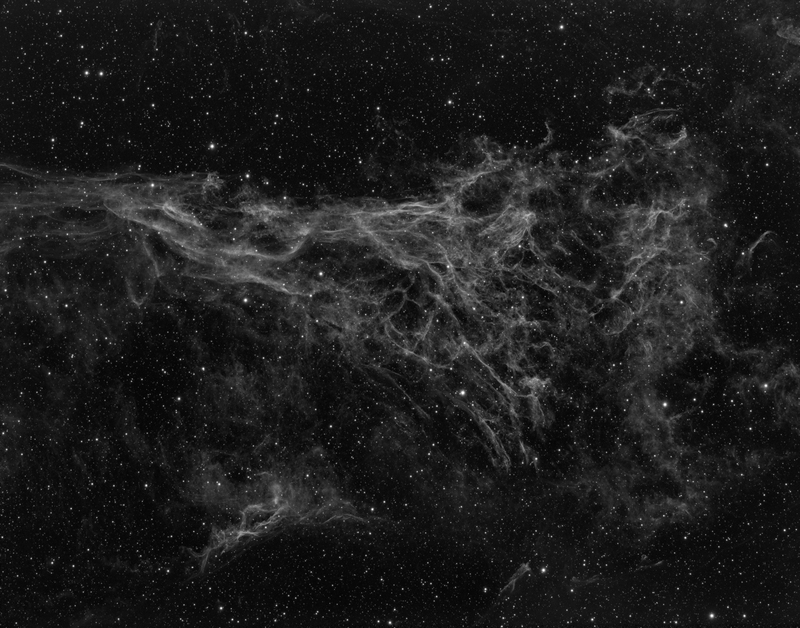 NGC6979 also called the Pickering’s Triangle and are part of the Veil Nebula located in the constellation Cygnus. 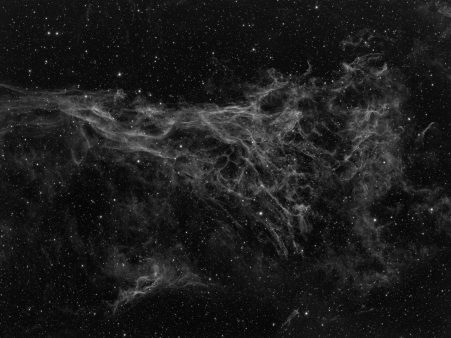 This is glowing gas resulted from the explosion of a massive star approximately 7000 years ago. The shock wave of this explosion sweeps through the interstellar matter and excites the ionized hydrogen atoms to glow in red, the oxygen ones to glow in green-blueish hues and shades of yellow and orange in sulfur.